How Do I Register a Song if I am Using Samples From Tracklib? The process is a little different. Tracklib is the world's first and only music service that enables music creators to discover, sample, and license original recordings. It solves a problem that has been plaguing producers, DJs, and artists since the rise of sampling in hip-hop and dance music over 30 years ago - how to license and pay for usages in an easy and straightforward manner. Tracklib features a library of over 60,000+ tracks that users can browse, download, and license for samples with the click of a button. You are welcome and highly encouraged to register any songs using Tracklib samples in your Songtrust account. The process is just a little more specific than adding an entirely original song. From the “Songwriters” page, click “Outside Writers” and then “+ Add a New Outside Songwriter.” Name the writer “Tracklib Publishing,” choose STIM as the PRO, and enter 819694492 for the IPI# (see example below). Be sure to enter this name and IPI# exactly. Below is an example of how you would register splits for the song. In this specific example, we assume you are using a 15 second sample of a Category C track, and that the original work has one original writer (for more information on what that means, visit Tracklib's website). We also assume that you are the sole writer of the new work. In this scenario, you will share 10% of the total 100% publishing pie with the original songwriter and Tracklib, and the remaining 90% goes to you. Within the 10% reserved for the original writer and Tracklib, 7.5% goes to the writer and 2.5% goes to Tracklib. 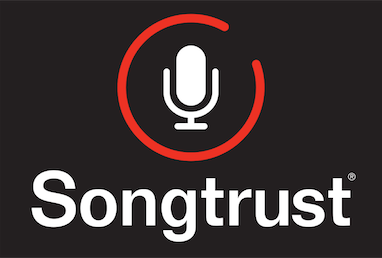 We highly recommend you add the ISRC of the recording to all songs that you register with Songtrust. You can learn more about what that means in this article from our help center. If you have any questions about determining splits, please feel free to reach out to us over the chat box. You can learn more about Tracklib in this post from the Songtrust blog, and by visiting their website here!